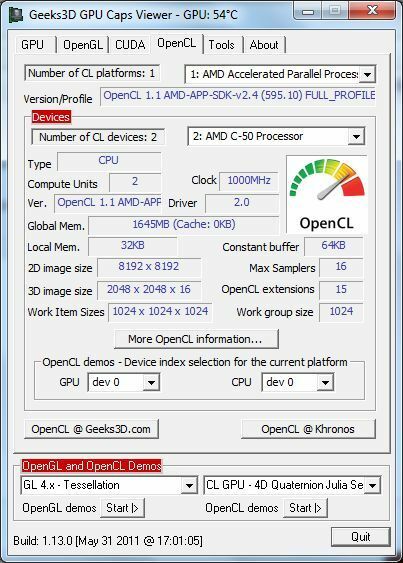 The Radeon HD 6250 is an OpenGL 4.1 GPU but it also supports the latest specifications v1.1 of OpenCL, the standard in computing language. It’s not the first time I found funny codenames for OpenCL GPU devices names in AMD drivers (see HERE: HD 6870 / Buzzard). 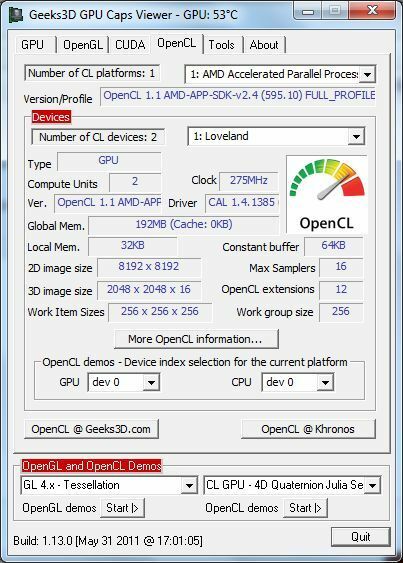 Today, the OpenCL name of the HD 6250 is Loveland. CL_DEVICE_MAX_WORK_ITEM_SIZES="[256 ; 256 ; 256]"
CL_DEVICE_MAX_WORK_ITEM_SIZES="[1024 ; 1024 ; 1024]"